On February 17, 2016, attorneys for Leonard Peltier submitted a formal application for executive clemency to the Office of the Pardon Attorney, U.S. Department of Justice. An innocent man, Native American activist Leonard Peltier was wrongfully convicted in connection with the shooting deaths of two agents of the Federal Bureau of Investigation (FBI) in 1977. Imprisoned for over 40 years-currently at the federal prison in Coleman, Florida-Peltier has been designated a political prisoner by Amnesty International. Nelson Mandela, Desmond Tutu, 55 Members of Congress and others-including Judge Gerald Heaney (8th Circuit Court of Appeals) who sat as a member of the court in two of Peltier's appeals-have all called for his immediate release. Widely recognized for his humanitarian works and a six-time Nobel Prize nominee, Peltier also is an accomplished author and painter. Appellate courts have repeatedly acknowledged evidence of government misconduct in the Peltier case-including knowingly presenting false statements to a Canadian court to extradite Mr. Peltier to the United States, and forcing witnesses to lie at trial. The federal prosecutor has twice admitted that the government "can't prove who shot those agents." According to the 8th Circuit Court of Appeals "the FBI used improper tactics in securing Peltier's extradition from Canada and in otherwise investigating and trying the Peltier case." The court concluded that the government withheld evidence from the defense favorable to Peltier "which cast a strong doubt on the government's case," and that had this other evidence been brought forth "there is a possibility that a jury would have acquitted Leonard Peltier." In a letter to then Senator Daniel Inouye (D-HI) in 1991, Judge Heaney stated: "The United States must share in the responsibility for the June 26  firefight... It appeared that the FBI was equally to blame for the shootout... the government's role can properly be considered a mitigating circumstance... At some point, a healing process must begin... Favorable action by the President in the Leonard Peltier case would be an important step in this regard." As late as November 2003, the 10th Circuit Court of Appeals acknowledged that "...Much of the government's behavior at the Pine Ridge Reservation and its prosecution of Leonard Peltier is to be condemned. The government withheld evidence. It intimidated witnesses. These facts are not disputed." Yet, Mr. Peltier has been denied a new trial and is long overdue for parole. Peltier's 1993 application for clemency was denied in 2009 by then President George W. Bush as one of his last official acts in office. 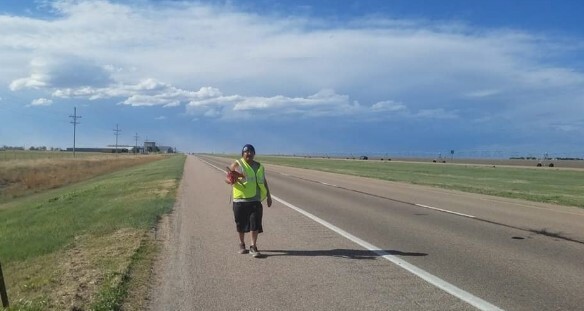 President Obama has the constitutional authority to commute Peltier's sentences. "Forty years of injustice demand the release of Leonard Peltier," said Attorney Martin Garbus. "President Obama, the only American president to visit a prison, knows the inhumanity of Leonard's 40 years of prison-including over six years of solitary confinement. He knows the horrors perpetrated by centuries of destructive warfare and intentional neglect of American Indians. He should grant Leonard executive clemency now. Leonard should return to his people." What YOU can do: Call President Obama for Leonard Peltier: 202-456-1111; email President Obama: http://www.whitehouse.gov/contact/submit-questions-and-comments; post a comment on Obama's Facebook page: https://www.facebook.com/potus/?fref=ts&hc_location=ufi; send a tweet to President Obama: @POTUS; and/or write a letter: President Barack Obama, The White House, 1600 Pennsylvania Avenue NW, Washington, DC 20500.